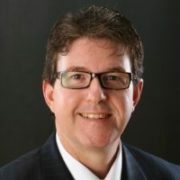 Dr. J. Keith Dunbar established Potentious to provide forward-thinking M&A consulting services to companies large and small. With Dr. Dunbar’s insights into leadership analysis, companies minimize the risk and maximize the probability of M&A success to meet financial objectives. Leveraging his groundbreaking research on the role of collective leadership capability in successful M&As, Dr. Dunbar’s unique methodology transforms human resource due diligence by providing a means to mitigate the risks that otherwise limit or cancel out the potential to meet financial growth targets.In addition to leading Potentious as president and CEO, Dr. Dunbar is director of talent management, National Security Sector, with Leidos, supporting more than 12,000 sector employees and all 22,000 company employees. He leads Leidos and sector efforts to align strategic workforce planning, learning and talent development, high-potential employee development, succession planning and management, and performance management activities with corporate strategies by creating agile and adaptable leadership and people capabilities that have measurable business impact and are key differentiators of the company. Prior to this role, Dr. Dunbar was director, Leadership Academy and Global Learning Solutions Group, with the Defense Intelligence Agency. He was a key figure in revitalizing leadership development, onboarding and professional development on a global basis within the U.S. Intelligence Community. While there and under his leadership, Dr. Dunbar’s teams won a number of awards, including the 2009 Chief Learning Officer Learning-in-Practice Gold Award for Global Learning, and were recognized for a 40-percent increase in global learning enterprise learning capability. He retired from the U.S. Navy in 2006 after a 21-year, celebrated career as a naval intelligence officer. Dr. Dunbar is a frequent speaker and presenter at professional conferences and workshops in the areas of transforming M&A HR due diligence, leadership development, enterprise learning, talent management and human capital development. Dr. Dunbar earned his Doctorate of Education from the University of Pennsylvania Chief Learning Officer Executive Doctorate Program. His dissertation focused on collective leadership capability and whether leadership behaviors are predictors of M&A success in acquiring and target organizations.